Auf dieser Seite finden Sie eine kurze Beschreibung über Dusseldorf. Menschen aus aller Welt können hier einen Eindruck davon gewinnen, was diese Stadt zu bieten hat. Wenn Sie in Köln leben oder in besonderer Beziehung zu der Stadt stehen, würde sich NDN sehr über Nachrichten oder Neuigkeiten freuen. 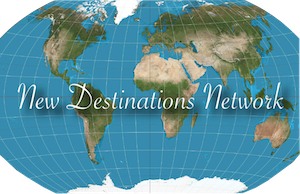 Für Organisationen und Unternehmen besteht die Möglichkeit, mit New Destinations Network nicht nur lokal, sondern auch international zu werben. Egal, wie Sie sich engagieren möchten, Sie können uns gerne − und am liebsten so schnell wie möglich − kontaktieren. Wir freuen uns, von Ihnen zu hören. Düsseldorf is located in the western region of Germany and is strategically situated in the lower Rhine Basin. The river Düssel flows into the Rhine at this location, which is how it originally got its name, however it is not easy to find these exact points and is source of some fun doing so? Its first known recorded history starts with the Roman Empire who wanted to strengthen their position in Europe. They found Germanic Tribes living in marsh land areas on the banks of the River Rhine and by the small river Düssel. Due to being able to keep a watchful eye on the rivers from this area, they built a fortified outpost there, called Oberkassel. In1288 Count Adolf of Berg and Archbishop of Cologne had a bloody struggle for power, which was eventually won by the Count in the Battle of Worringen, which gave the area ‘city’ status. This event is commemorated by a monument on the Burgpatz. It is believed that the tradition of children performing cartwheels in celebration started then, which is symbolised by the statue of “Der Radschlaager” (boy who does Cartwheels). This symbol appears on many souvenirs, it is a part of a fountain (also on the Burgplatz) and there is also an annual event to commentate it too. As with all legends the ‘cartwheeling’ could of come from a procession at a wedding or visiting performers, either way, it is a part of Düsseldorf traditions. Düsseldorf is renowned as being an international city for banking, telecommunications, business, retail, fashion and trade fairs, but now all forms of Art and Culture are quickly becoming an increasing reason to visit the city. Whether it be comedy, music, nightlife, museums, theatres, galleries, cinemas, events, productions, concerts or architecture, this city breathes art and culture. It does not only add to the city, it is actually shaping the city itself. There are many theatres in the city, the most popular being; Apollo, Capitol, Deutsche Oper am Rhein (Opera/Ballet), Schauspielhaus, Marionetten, Tonhalle (classical, jazz, pop and cabaret), ESPIRIT arena, venue for the Eurovision Song Contest and Savoy Theatre. K20 and K21 Kunstsammlung Nordrhein-Wesfalen are two separated, but connected Museums that have a number of exhibitions, displays and instillations. At present K21 has ‘In Orbit’ by Tomas Saraceno, which is a multi-level steel wire construction, which is suspended 25 meters above the piazza below. It is a spider’s web type structure with PVC spheres, intended to give the visitor an experience of an ‘oscillating network of relationships’. Whether the visitor feels that experience or not, there is definitely a feeling of height, danger and spectacular design. There are an array of museums, galleries and other cultural centres such as; The Art Academy, Andreaskirche, Aquarium & Zoological Museum, Goethe, Heinrich Heine Institute. There are many examples of this, but the tallest is the Rheinturm (TV Tower), which also contains the world’s largest digital clock. The MedienHafen (Media Harbour) has a variety of inspirational buildings and pieces of architecture; The Gehry and Colorium being just two. There is also the Neuer Zollhof at MedienHafen, the Wilhem Marx House (which was Germany’s first ever high-rise building) and the Arag-Tower (which is the cities highest office building). Since the 1950’s, music has been an important part of the heritage of Düsseldorf, it’s most popular contribution being avant-garde electric pop music, with its most famous export being the worldwide renown Kraftwerk. They were actually named after the power station in Düsseldorf and as a coincidence the designer of the Mannesmann Office Block, which would overlook the power station, was designed by one of the group member’s father! The city has several religious venues, one of most popular is the Sankt Lambertus Basilica, which holds the shrine of Sankt Apollinaris, the city’s patron, but is also famous for its twisted spire. The legend is that a virgin bride gave her oath to God on her wedding day, but she was not telling the truth, so the devil tried to take the church, in the fight for the church, which was won by good over evil, the spire was twisted out of shape. It probably happened in the early 1800’s when it caught fire and the wood used to rebuild the spire as still moist so twisted out of shape, but this version is far less fun. The Sankt Andreas (Sankt Andrews Church) is in the heart of the city and was a former court and Jesuit Church and has a pulpit dating back to the 17th Century. Neanderkirche (Neader Church) is the city’s oldest Protestant church and of early baroque construction. It was built away from the Main Street, as the city was catholic at the time and was named after Joachim Neander a renowned hymn writer, which is why there are many organ concerts held there, even today. The city has many public pieces of art and sculptures, none better than the Monument Commemorating the 700th Year of being a town. It was created by Bert Gerresheim and depicts a variety of scenes in one amazing and unique piece. A different approach to displays of public art is the graffiti artist Harald Naegeli. The city has many examples of his work and he has become more than a cult hero. He original came from Zurich, but had to leave as was wanted by the Police for the graffiti he had painted around the city. Düsseldorf being such a Art and Culture friendly city embraced him and he was given an ‘Artists Asylum’ to remain. He was doing his work before ‘Banksy’ had even picked up his first spray can! The Altstadt (Old Town) is now the social meeting place for locals and tourists alike. It is also where Bolkerstrabe is, the birth place of the famous poet Heinrich Heine, one of the city’s favourite sons. There are hundreds of pubs, bars, restaurants and breweries, nicknamed throughout Germany as ‘ the longest bar in the world’. The options of bars, music and entertainment in the city is vast, from traditional to modern, so there is never a shortage of things to do in the evening. Day and night, thousands of visitors stroll along the embankment promenade next to the Rhine, due to the view, grassed areas, seating, bars and restaurants. Here, locals and tourists may drink the famous Düsseldorf beer “Altbier”, which is a ‘hops beer’ similar to the British Pale Ales. The name ‘alt’ was first used in 1838 by Mathias Schumacher who allowed the beer to mature in cool conditions in wooden casks, which laid the foundation for this style of beer production. There are only 5 pub-microbreweries who brew Atlbier on site; Fuchschen, Schumacher, Schlussel, Uerige and the newest Brauerei Kurzer. Beer mats take on a different use in this city, as they are used to count how many drinks are ordered. They are marked with a slash per drink, so the final bill can be calculated. To stop drinks being served to the table or individuals, the beer mat is simply placed on top of the glass, which means “no more thank you”! Rhenish-style eating (al fresco) has becoming more and more popular and the majority of bars and restaurants have outdoor areas. The traditional dishes are Sauerbraten (marinated beef roast with spices and gravy) or Himmel and Aad (black pudding with stewed apple mash). Düsseldorf is famous for its strong flavoured mustard served in a pot, known as Mostertpoettchen, which was immortalised in a painting by Vincent Van Gogh. From the Altstadt it is not far to the Konigsallee (lovingly referred to as Ko), a luxury retail shopping boulevard famous throughout Europe, with the spectacular Ko-Bogen building, designed by Daniel Libeskind. Nearly every ‘Designer Brand Name’ has a store there and attracts thousands of high spending shoppers every year. There are many shopping streets and malls throughout the city which are one of the reasons that attract so many visitors. In the outskirts one should not miss the Palace and Parks Benrath and the ruins of Barbarossa’s Imperial Palace as well as many other parks, gardens and palaces in the city centre that provide stunning scenery, relaxation, history, but also a lot of fun for all who attend. Throughout the year, Düsseldorf boasts with many events in the city too, which add a colourful, fun and exciting atmosphere; Rhenish Carnival, Night of Museums, Japan Day, the Biggest Fun Fair on the Rhine, Jazz Rally, New Fall Festival and the world famous Christmas Market. The traditional Carnival is actually the ‘the foolish season’ or “fifth season” with the Rose Monday procession as its finale. The Christmas Markets attract thousands of visitors to the city by the end of each year, with people loving the variety of arts, crafts, paintings, gifts, but also the food, drink and festive entertainment available too. The colours, smells and sounds during these events are magical and a lot of those who attend return numerous times. The city on the Rhine has more trade fairs than most cities in Europe and it is geared-up to accept the increased visitor levels during these times with excellent; organisation, infrastructure, transport and accommodation. Transport throughout Düsseldorf is impeccable and efficient, from the Airport to the trains, buses and trams, which makes getting around the city extremely easy. Getting a DüsseldorfCard is a cheap and easy way of using all the transport facilities in the city. More and more popular is the use of bikes, by locals and visitors alike, who take advantage of the many lanes and trails designed for that purpose. It’s more fun, is a bit of exercise and can be done by all the family, so is a great way to see the city. 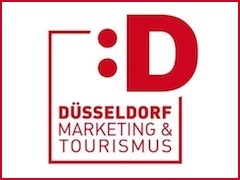 Düsseldorf is not just business, it’s pleasure, in fact it’s both, it’s a pleasure doing business in Düsseldorf. Plus, as this city grows and shapes itself into an ultra-modern and vibrate destination, it is doing so, knowing the style and attitude of the people who live there and also visit. It has a ‘sense of itself’ and it is in the buildings, the atmosphere, even in the air. Breathing in what this city has to offer, will only fill lungs with fun, art and culture, which a traveller may find hard to obtain elsewhere? A writing credit goes to James Martin (Tour Guide/Opera Singer) for some of the above information.